A range of crimp tools, and die sets, required to assemble Neutrik Rear Twist and Push-Pull series BNC connectors. 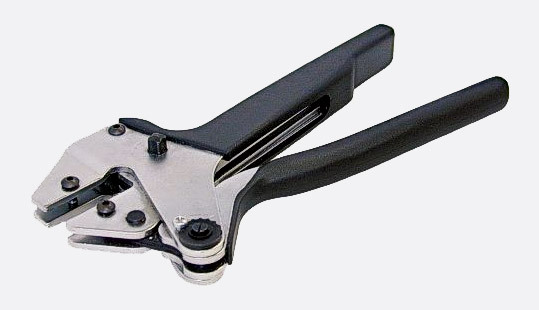 A high quality hand crimp-tool offering the professional, high volume user, a ‘tool for life’ with easy action and interchangeable die sets. A parallel die motion and ratchet action ensures accurate and complete closure of the dies, ensuring a perfect crimp termination. 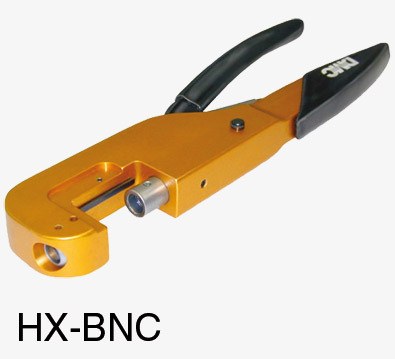 For less frequent use, the HX-R-BNC ‘plier’ type tool achieves the same high quality crimp termination at a more economical price. It also has a parallel die motion and ratchet action to ensure accurate and complete closure of the dies and a perfect crimp termination. Crimp dies are supplied as a pair and must be ordered in addition to the crimp tool. 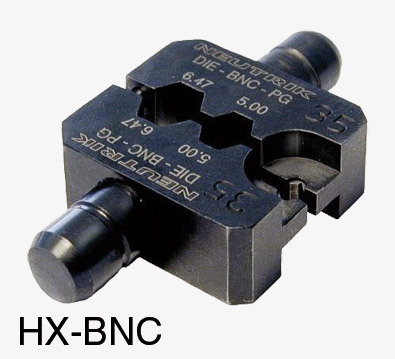 HX-BNC and HX-R-BNC die-sets are of different designs and are not interchangeable between the two tool styles. All die-sets have a 1.6mm pin crimping cavity (except size Z which is 1.75). Die-sets also have one or more larger cavities for crimping the connector ferrules, making some sets suitable for more than one connector size. Cavities sizes are indicated by the letters at the end of the description. 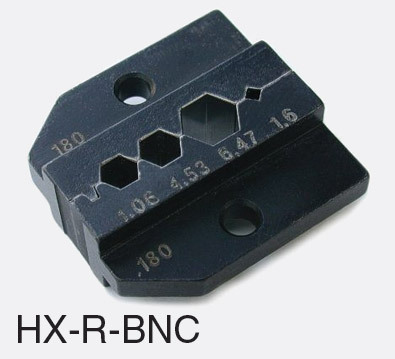 Note: The Neutrik letter code indicating screen crimp die sizes do not relate to the Canford cable group. See Coaxial connector selection guide for Canford cable groups. Please login for stock availability and lead times.